K.P. Yohannan takes us on a journey back to God’s original purpose for each of our lives: to reflect His likeness. This book reminds us that we don’t have to be content with superficial Christianity. It’s amazing how many Christian activities average believers participate in at one time or another during their Christian life. They feed the hungry, sing in the choir, teach Sunday school, collect clothing for the homeless, visit prison inmates, witness on the streets, volunteer in a nursing home, demonstrate for a moral issue, collect money for sick children, support a missionary, help the elderly and so on. Surely all of these good causes are a help and blessing to others. However, often I have wondered what the true motivation is behind an individual’s involvement in the kingdom of God. For some it is the challenge and excitement of being involved in something significant. For others it is the need for fellowship and love. Some like the honor and glamour that come with the action. Others are motivated by guilt because they have so much more than those poor people on the street or in prison. Then, of course, there are always those who hope that their faithful service will ensure them a sizeable reward in heaven. Last, there are those believers whose hearts are truly burdened and touched by the suffering of others and the needs of a lost and dying world. However, when we look in the Bible, we find that none of those motivations is good enough to get us through the hard times ahead, which Paul describes so clearly in 2 Timothy 3:1–4. They are insufficient to keep us committed until the end. You see, our commitments are so short-lived and we change from one worthy cause to another because as soon as difficulties and disappointments come our way, our motivation is also gone. Furthermore, excitement, honor and compassion will not carry us very far, but love will. The apostle Paul wrote at the end of his life to Timothy, “I have finished the race, I have kept the faith” (2 Timothy 4:7). What was the motivation behind such a life? It was this: “The love of Christ compels us” (2 Corinthians 5:14). But Par went back and preached in the streets, witnessed to people and passed out Gospel tracts. Wasn’t he afraid? Did he not take the warning seriously? Oh yes, he was afraid, and he knew his enemies meant what they said. So what gave him the strength and the motivation to risk his life? It was his love for Jesus, nothing else. Today there is a church there. Love is the greatest motivator of all. John 3:16 tells us, “God so loved the world that He gave His only begotten Son.” He gave Jesus not out of compassion or pity, but out of love. Love Him more than life itself, for He is your life. Excerpt from Chapter 30 of Reflecting His Image (ISBN 978159589005X) © 2004 by KP Yohannan, the president and founder of Gospel for Asia. This entry was posted in Reflecting His Image and tagged Christian-living, Christianity, Deeper-life, Discipleship, Dr. KP Yohannan, gfa, Gospel for Asia, Jesus, K.P. Yohannan, KP Yohannan, Spirituality on June 10, 2014 by gfaseo. Then I sat up and spoke out loud. “I am in a battle. What I do today will touch the lives of millions. Lord, you promised that those who wait on you will renew their strength. Lord, I wait on you, and I know my strength will be renewed.” Ten to 15 minutes went by with me praying and saying God’s Word out loud. By the time I was ready to get back to the studio, I was a brand-new person with excitement, peace and His strength. What made the difference? I took my eyes off my own struggle and saw the big picture. I saw in my mind the battle that rages all around the world with this generation being enticed by the powers of darkness, bound by Satan’s chains and moving hopelessly toward eternity. I saw a picture of a mighty army filled with the Holy Spirit moving all over the world preaching the Gospel and calling millions to repentance, and I saw those millions responding and giving their lives to Jesus. When the enemy attacks us as we are serving the Lord, we must remember that there is more going on than what we see around us. We must interpret our little pond, our little world, in light of the much bigger world. I will never forget what Narayan Sharma, Gospel for Asia’s leader in Nepal, said: “Sometimes it’s so unbearably hot. Sometimes it’s so cold that you don’t want to move; but by any means, it is good to serve the Lord.” This man lives with the reality of the big picture. In your life you will face days in which you won’t want to pray. Your emotions will be dry. This is the time when you need to stand up by faith and say, “I hang on to God’s Word and will not drown in my own small pond.” Perhaps you will be tempted to stop supporting your native missionary. But look at the big picture! That one native missionary you pray for and support will touch many villages, and hundreds of thousands will come to know the Lord Jesus Christ. Someday you will stand with that multitude rejoicing around the throne. Are you discouraged? Do you want to give up? Are you having a difficult time looking beyond your own little world? If so, stick close to Jesus. Look into His eyes and receive His strength. Don’t let the devil keep you intimidated, discouraged and focused only on your own little world. God’s kingdom is bigger! Let us rise up and shake off the deception of the enemy. Like Paul, let us never lose sight of the big picture, and let us gladly give our lives so that others may come to know Jesus. One look at yourself and 10 looks at Jesus will keep you going. Excerpt from Chapter 29 of Reflecting His Image (ISBN 978159589005X) © 2004 by KP Yohannan, the president and founder of Gospel for Asia. This entry was posted in Reflecting His Image and tagged Christian-living, Christianity, Deeper-life, Discipleship, Dr. KP Yohannan, gfa, Gospel for Asia, Jesus, K.P. Yohannan, KP Yohannan, Spirituality on June 4, 2014 by gfaseo. If I could pick out one thing that Jesus—as well as Paul and the rest of the apostles—constantly emphasized, it would be prayer. In the Scriptures, we are charged to “watch and pray,” to “pray without ceasing,” that “intercessions . . . be made for all men” and so on. Most followers of Christ are convinced that prayer is a vital part of our Christian life. Through prayer, we communicate with God. As we petition Him, in His love He meets our needs, heals our sicknesses and delivers us from Satan’s attacks. In fact, we know from Scripture that prayer is our mightiest weapon to defeat the enemy. As we pray, all heaven fights for us. Amazingly, despite our vast knowledge about the importance of prayer, we struggle constantly to find time for it. Prayer usually ends up near the bottom of our priority list. There is a reason for this! You see, the devil hates prayer. He hates it more than choir practice, seminars, conferences and Christian concerts. He will do everything in his power to stop us from engaging in this dangerous activity. In fact, prayer is so destructive to him that he is more than happy to see us choose instead to listen to a sermon, read a Christian book or work for charity. However, if the devil can’t hinder us from praying, he uses several other effective tactics to zap the power out of our prayers. One of those tactics is this: Without us knowing, he slips in slowly and makes us believe that all these great victories have happened because of us and our prayers. For example, this endangered training center was saved because we knew how to defeat the devil. The radio broadcast received 10,000 letters this month because we made it happen through our intercession. Unless we are very careful and extremely sensitive, we can end up at a place in which even our prayers can become a major trap. You see, when things are happening, the enemy tempts us to trust in our prayer activity, our expertise on spiritual warfare, our elite group and our dynamite church leadership. Suddenly our confidence is placed in ourselves and what we are able to accomplish instead of in the Lord alone. Thus, our prayers have turned into a work of the flesh, something God detests and always rejects. Our prayers and intercession are vitally important to reach the lost world. There is no substitute for pulling down the strongholds of the enemy. Therefore, we must keep our weapon of prayer sharp and effective at all times, which happens only when we examine our hearts daily to see if we are placing our confidence in anything other than Jesus alone. God seeks followers and intercessors who believe with all their hearts that it is “ ‘not by might nor by power, but by My Spirit,’ says the LORD of hosts” (Zechariah 4:6). A few minutes of prayer with total dependence on the Lord are worth more than days of weeping in our own strength. Don’t forget the priorities. We may cry out all day long and see nothing happen, yet Elijah prayed a few words and fire came down from heaven! Excerpt from Chapter 20 of Reflecting His Image (ISBN 978159589005X) © 2004 by KP Yohannan, the president and founder of Gospel for Asia. This entry was posted in Reflecting His Image and tagged Christian-living, Christianity, Deeper-life, Discipleship, Dr. KP Yohannan, gfa, Gospel for Asia, Jesus, K.P. Yohannan, KP Yohannan, Spirituality on April 29, 2014 by gfaseo. Who Qualifies to Stand in the Gap? For all of us who desire to serve the Lord and are committed to reach our generation with the Gospel, my deepest concern is that we have a pure and authentic heart before the Lord. We must never work and serve because of a challenge, money, a title, a position or even because millions of people are going to hell and we have to do something about it. It is my prayer and hope that we serve the living God for one reason, and no other: deep down in our hearts, we love Jesus more than anything else in this life, and His love is our only motivation for action. 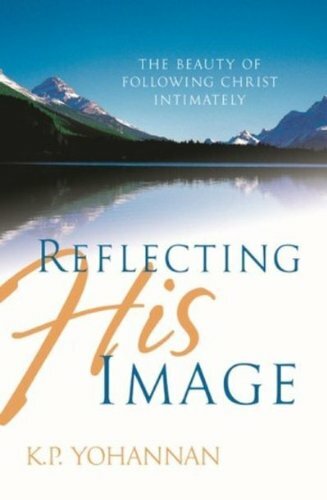 Excerpt from Chapter 19 of Reflecting His Image (ISBN 978159589005X) © 2004 by KP Yohannan, the president and founder of Gospel for Asia. This entry was posted in Reflecting His Image and tagged Christian-living, Christianity, Deeper-life, Discipleship, Dr. KP Yohannan, gfa, Gospel for Asia, Jesus, K.P. Yohannan, KP Yohannan, Spirituality on April 22, 2014 by gfaseo.